Hard drives, also known as hard disk drives (HDDs) were a technology thought up by IBM- and they dominated the market for nearly 30 years. They discovered a need for this type of technology in 1953, and the first hard drive was invented and then patented in 1956 in IBM’s San Jose, California laboratory. Hard disk drive technology has changed to meet commercial needs since then- and have also become a lot easier to use. External hard disk drives that were once the size of refrigerator units are now merely inches long and can store several gigabytes- and now terabytes- of data. 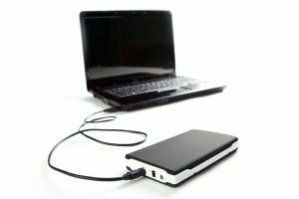 External hard drives are a great way to back up, protect, and transport critical business files. They can be one of the best hardware solutions for storing large amounts of data and ensuring that you have a fullproof disaster recovery plan. While the external hard drive might eventually be replaced by cloud storage and backup, portable hard drives (and hard drive technology overall) has certainly changed since 1953. The initial IBM hard drives are considered external devices because they did not run internally within the computer units. IBM engineer Reynold B. Johnson is the individual who came up with the idea, of the external hard drive. Johnson’s first external hard drive, the IBM 350 Disk File, supported the IBM 305 RAMAC computer system. This hard drive system was introduced on September 13, 1956. These hard drives were huge units with several “platters” contained inside to store data. Stored in air-controlled rooms, the hard drives were placed side-by-side. They complemented the tape storage solutions for their servers. Apple first introduced the concept of the personal computer in the 1980s, with Microsoft quickly following suit. These computers generally contained internal hard drive disks or a complicated incarnation of an external hard drive. These systems were limited as to the amount of storage they allowed and were not considered user-friendly. In 1983, Apple introduced the ProFile external hard drive. This early representation of the external thumb and hard drives known today plugged into the back of Apple units. Apple’s failed to take off, and computer companies switched to an internal hard drive interface. This technology was the primary hard disk drive technology used throughout the remaining 1980s and the early 1990s. 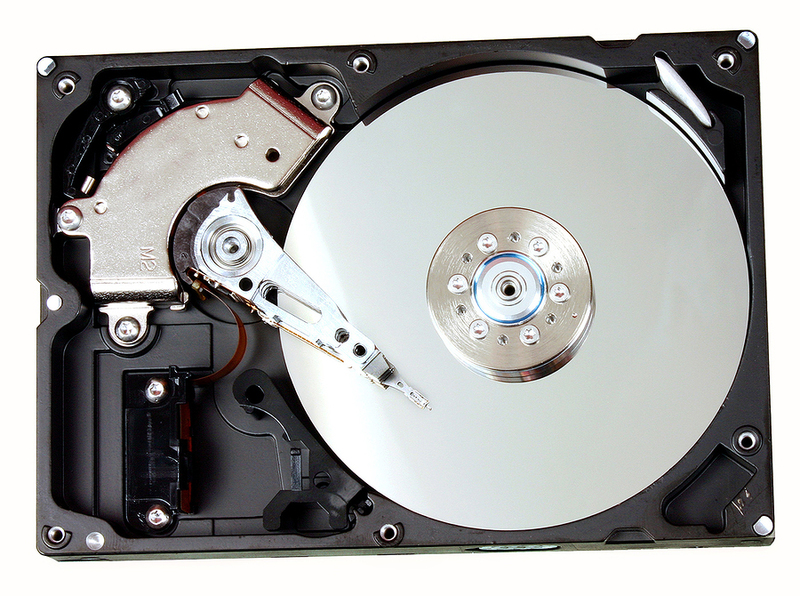 Internal hard disk drives were revamped to increase storage space. If a user needed more space, he or she would simply replace the internal drive in their computer with one that held more data. It wasn’t until 1994 that the external hard drive once again took center stage. Reynold B. Johnson’s original external hard drive concepts took on a new form within the computer industry in 1994. Universal Serial Bus, or USB, technology was introduced in 1994 by seven technology giants. The technology companies behind USB technology were: Compaq, DEC, IBM, Intel, Microsoft, NEC and Nortel. These companies collectively invented the external hard drive technology that we understand today, and external hard drives come in two primary forms. The “thumb” or “USB Flash” external hard drives plug into a computer’s USB port. These storage hard drive devices are only inches long, and the person who actually came up with the idea is controversial. It is argued that the USB Flash Drive was the brainchild of Amir Ban, Dov Moran and Oron Ogdan from M-Systems, an Israeli company; however, their April 1999 patent requires a cable connection. IBM engineer Shimon Shmueli patented a cable-free USB Flash Drive in September 1999. Phison Electronics Corporation CEO Pua Khein-Seng also claims to have invented the world’s first USB Flash Drive, so the person who came up with idea of this external hard drive remains under debate. Smaller External Hard Drives Are Here! The portable external hard drive is another form of external hard disk drive that has become popular in the 21st century. This hard drive is much smaller than Reynold’s original hard disk drive, mirroring the size of a desktop unit’s internal hard drive. 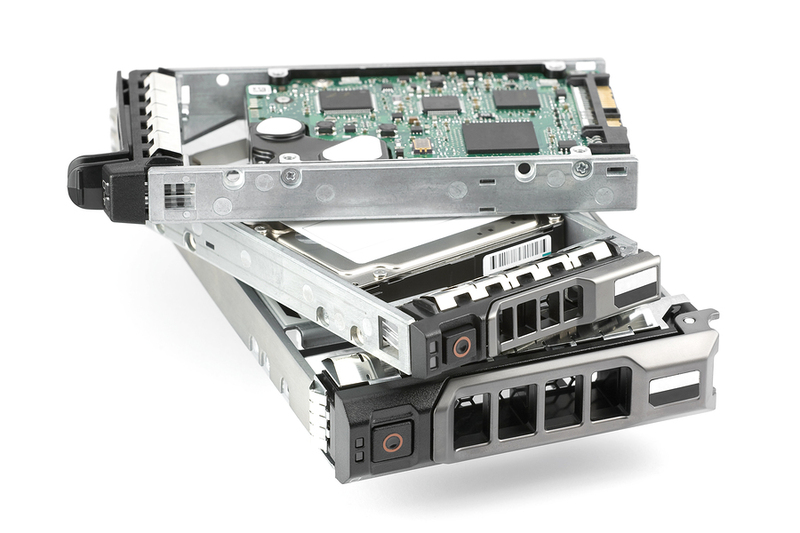 These drives are rectangular in shape and are approximately 1 inch by 3 to 4 inches by 4 to 5 inches, although sizes do vary and technology companies are working to reduce sizes. These drives also plug into a computer’s USB port, and are manufactured by several technology companies, including HP, Seagate and Toshiba. Looking For A Portable Backup Solution? Record Nations Can Help! Although they’re smaller and easier to use than they’ve ever been, it’s not wise to rely on an external hard drive as your sole backup solution. Whether you’re looking for a cloud backup solution or a better way to store your documents offsite, Record Nations can help you find the right service for your needs. Record Nations works with a team of professionals that provide reliable online data backup solutions for your business. In addition to online backup services, we can help you convert your paper records to digital copies by scanning the documents for you. Our cloud storage services will keep your records safe and easy to access. Learn how our data backup solutions can help you- contact us for a free quote today! To get started, fill out the form to the right, or give our experts a call at (866) 385-3706. Our team will help you find the right backup solution for your business.